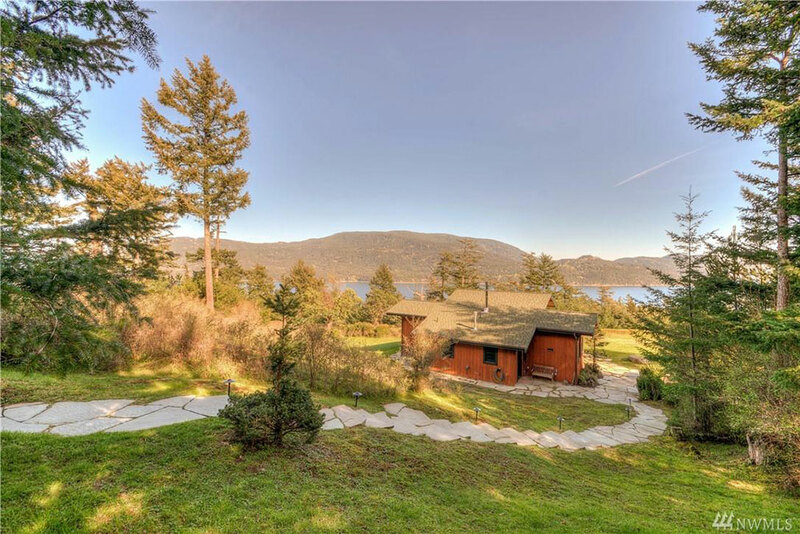 One with nature: This house doesn’t dare compete with the mountains of the San Juan Islands archipelago. Rather, it seamlessly blends with its surroundings. 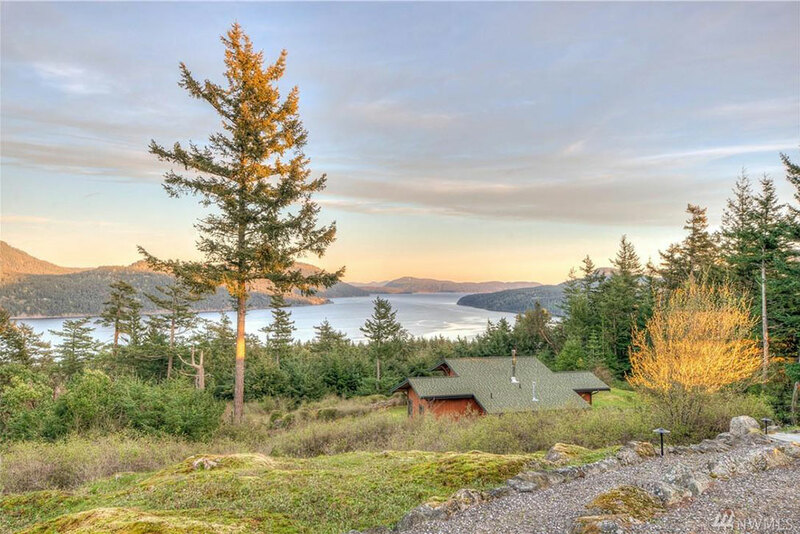 Some of the most stunning acreage in the Pacific Northwest is included in the sale of this petite cottage in Washington state’s San Juan Islands. 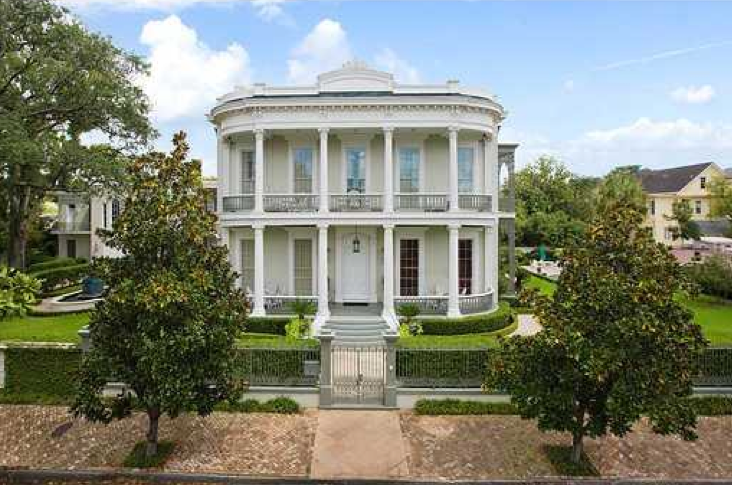 An asking price of $1,917 per square foot deserves an explanation, so here goes: This place is spectacular, special, magical, and peaceful. 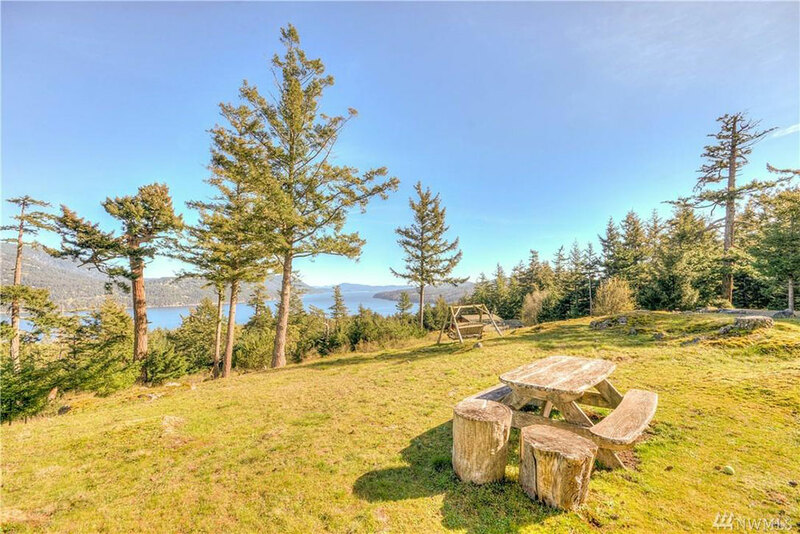 These are the words used by sellers Laurie and Eric Johnson to describe their Eastsound, WA, property for sale, which comprises a 780-square-foot vacation cottage, a detached garage with a loft, and, perhaps most notably, a nearly 14-acre lot with some of the best views anywhere in the San Juan Islands. And that’s saying something. After all, an almost-otherworldly beauty pervades all 172 named islands of this untamed archipelago just off the coast of northwest Washington state, where killer whales swim free and bald eagles nest. 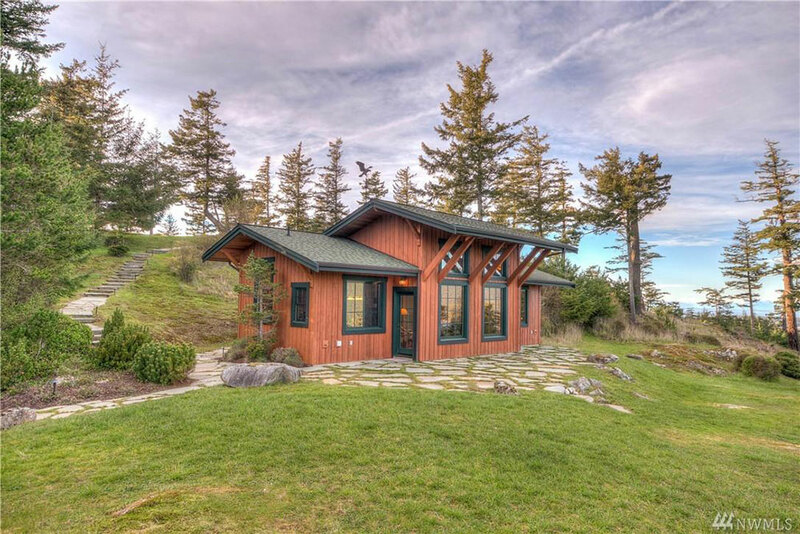 This tiny house with big views is located on Orcas Island, which, at 57.3 square miles, is the largest island in the San Juan Islands archipelago. 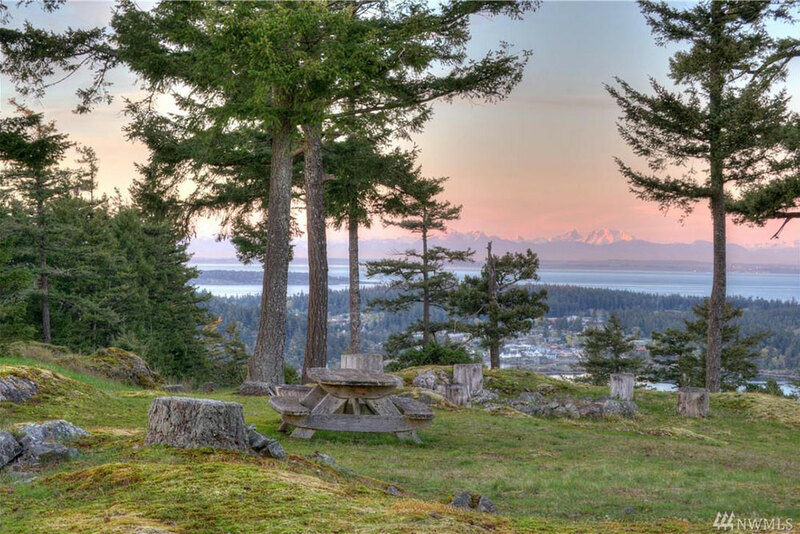 Referred to by locals as “the gem of the San Juans,” this horseshoe-shaped island is also the home of the 2,409-foot-tall Mount Constitution, the archipelago’s highest point. At the summit, intrepid hikers are rewarded with panoramic views of the surrounding islands, straits, and sounds (keep your eyes peeled for the islands’ resident orca pods! ), framed by the snow-peaked North Cascades mountains of the U.S. and Canada. Perched 450 feet above sea level, the cottage’s hillside location can’t quite match Mount Constitution in terms of elevation, but the views are impressive just the same. It’s these views that captivated the home’s sellers when they purchased the 13.76-acre lot — then a raw, undeveloped parcel — back in April 1997. Soon after, the Johnsons appealed to the Washington State Board on Geographic Names to name the site Osprey Hill, a nod to one of the many bird species that call the emerald-green islands home. 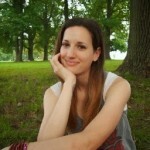 Sunrises and sunsets are especially breathtaking here, as the distant mountains are painted in purple, pink, and gold. Down below, the picturesque downtown of Eastsound bustles with activity. 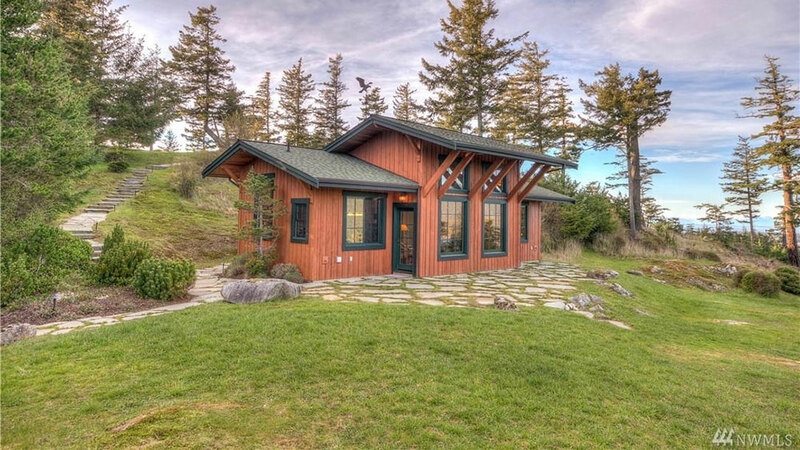 The Johnsons envisioned a “quaint, ‘island-y’ place that would maximize the views” when they had the 780-square-foot cottage custom-built in 2004. The cedar home was used as a summer retreat and features one bedroom, one bathroom, and the utmost in privacy: the closest neighbors are 1,000-some feet away. Osprey Hill isn’t too far removed. Downtown Eastsound and the Orcas Island ferry stop are 3.5 and 6.5 miles away, respectively. (Did we mention the San Juans are accessible only by ferry, boat, or plane?) 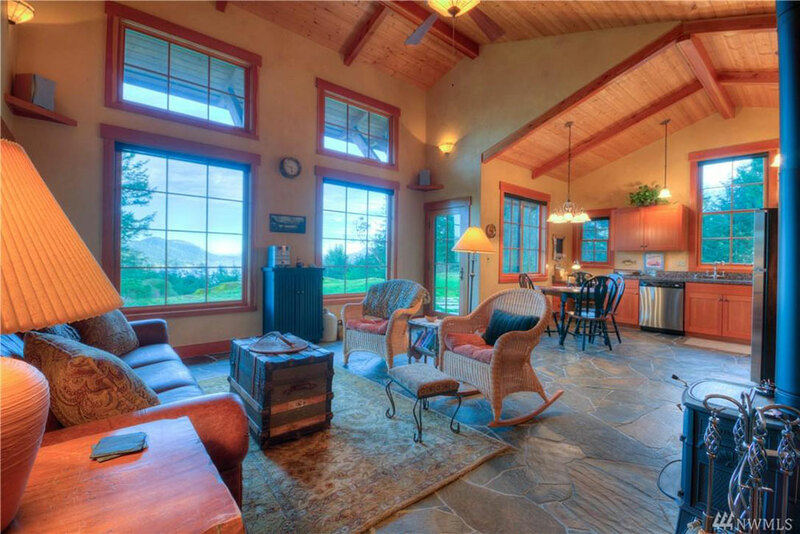 A golf course and a community park are nearby, and the cottage is convenient to everything that makes Orcas Island an extraordinary place to visit: whale watching, boating, bicycling, exploring the miles of rocky coastline, hiking the old-growth forest of Moran State Park — the list goes on. Slate floors, painted sheetrock walls, and a cedar-plank ceiling bring color and texture to the cottage’s interior without interfering with its real starring feature: those mountain and water views. Outside, copper gutters and downspouts accessorize the cottage. On the roof, a copper weather vane features the silhouette of (what else?) an osprey. The home’s cathedral-style ceiling and open floor plan increase its perceived square footage, while radiant-heat floors keep things nice and toasty during the cooler months — particularly when partnered with the free-standing wood stove. The stove sits to the side of the living area, against a wall of smooth glacial till rocks, each of which was collected by the home’s sellers. 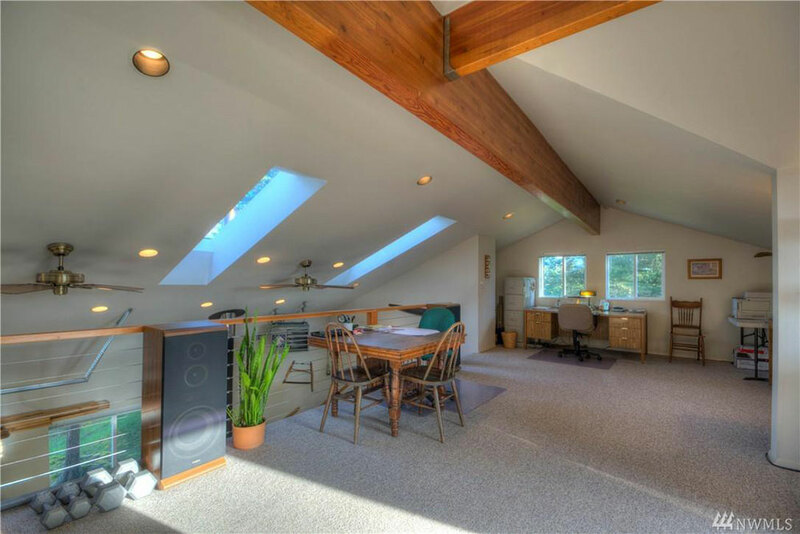 A short stroll farther up the hill leads to this three-car-garage-loft combo, complete with a downstairs kitchen and even more stunning views of the surrounding landscape. Should the cottage prove too small, there’s plenty of room beside the garage to build the home of the buyer’s Pacific Northwest dreams. 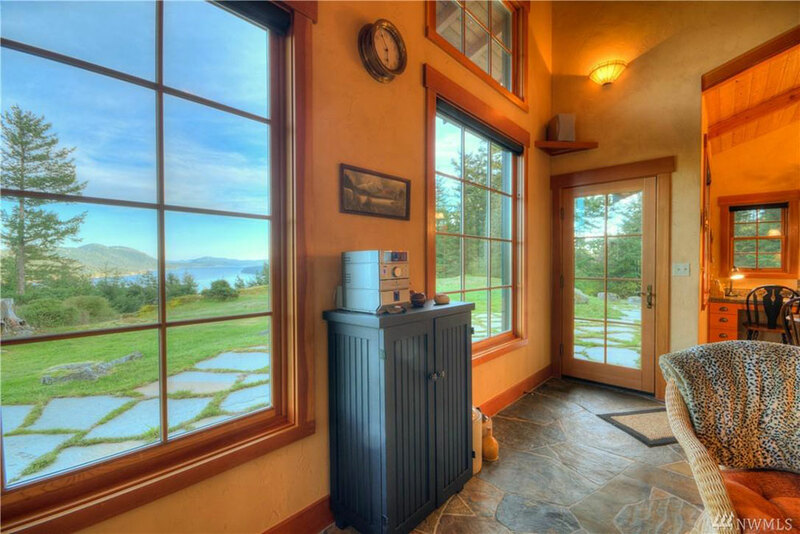 Tempted by San Juan Islands real estate and this $1.495 million tiny home at 201 Island View Road, Eastsound, WA 98245? 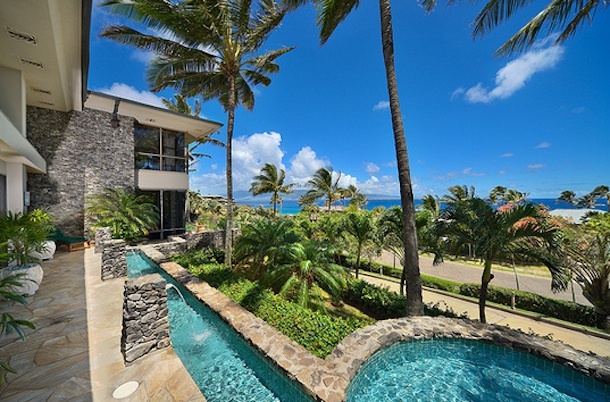 Share how you would enjoy this majestic property in the comments! 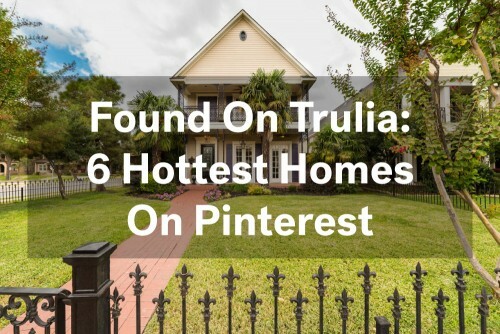 From Texas to Massachusetts, these Pinterest-worthy homes are big on style. 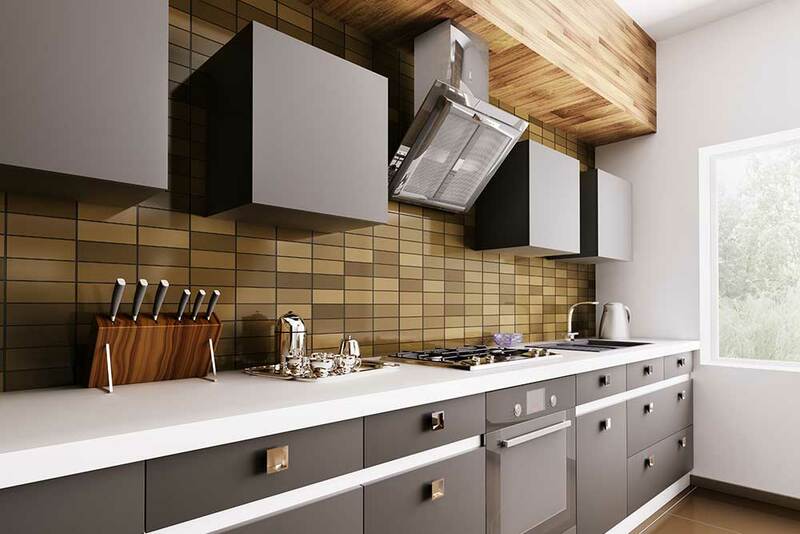 See what’s on the horizon when it comes to technology for your home.